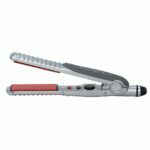 With the wide array of straightening technologies in the market nowadays, it’s hard to make the right choice, but what if you only have to choose among the professional models and designs? Will it make choosing easier? Definitely! 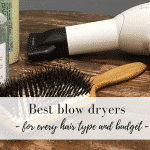 It’s hard to go wrong with professional hair styling tools, they last the test of time and are versatile in order to fit the various needs of salon clients . 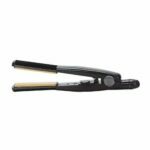 Hence, if you’re looking for a high quality, reliable styling tool, Jilbere straightener product range is as good as it gets. • Quality. You would want to consider buying a brand which you believe will last long and will take care of your hair instead of damaging it. • Performance. You shouldn’t only look for a straightener which can only literally straighten your hair. There are a lot of high performing brands in the market which can do a lot more than straightening your hair, such as making it shiny and smooth, among others. • Affordability. It’s all right to be doubtful when a product has a lower price, but don’t be too judgmental. There are some products which are priced higher than they should be. You can do your research first, read some reviews on the products you’re choosing from, or ask reliable people regarding the efficiency of the product they’re using. • Jilbere Titanium Tools Professional Straigtening Iron. This model makes the hair look as if it has been made and fixed in a salon. It has 40 heat settings and can heat up to 450°F. Unlike many other brands, this one really does the trick. It straightens the hair from roots to ends, for maximum results keep hair at 90°angle. Its titanium plate technology has a smooth surface for reduced friction. If you have curly and coarse hair, this one might work perfectly for you. Amazon offers this at a discount compared with the list price, with free shipping included. • Jilbere Nano Ceramic Ionic Flat Iron. This model features ceramic, ionic and nano silver technology with a digital ionic generator. It traps hair moisture while drying the hair, thus leaving less hair damage. Its ceramic technology causes the heat to be distributed evenly without burning the scalp and the hair. It also straightens the hair 40% faster. 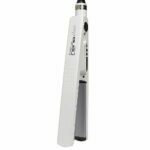 • Jilbere Porcelain Series Professional Straightening Flat Iron. Its product description includes a “diamond hard” porcelain surface which causes it to run through the hair smoothly. It heats instantly and provides an even distribution of heat. Its only problem, like other Jilbere straighteners, is that it gets tangled at the end regardless of the hair quantity. 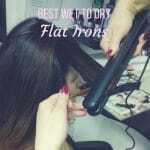 • Jilbere Tourmaline Series Flat Iron. 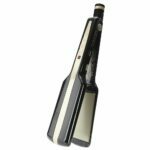 This Jilbere straightener is equipped with Tourmaline Ceramic technology which is capable of locking the hair for shinier and healthier hair. It’s important to set first the temperature that is right for your hair before using it. It also provides constant heat. However, you might want to be careful with its edges because it has a tendency to rip hair strands out. Overall, though, it’s still perfect for straightening purposes, considering its elegant style and features. Nowadays, you shouldn’t buy something you’ll regret later. Be sure to know all the product’s features before making your purchase.